We are fortunate to have the opportunity to tour Macedonia through its wineries. We have met мany very friendly, hospitable, and creative people in this industry. Their dedication to the art of wine making combined with their strong desire to indulge the wine lover’s experience makes wine tourism in Macedonia a true delight for any traveler. The cultivation of grapes and the art of making wine have existed in Macedonia for over 4,000 years. During the Roman Empire, Macedonia was connected to the rest of the Empire by the Via Egnatia that connected Macedonia with the Illyricum and Thrace provinces. This ancient Roman road began at the modern day location of Durrës, Albania (key harbor on the Adriatic) and stretched 1120 kilometers (695 miles) through Thessaloniki and all the way to Istanbul (Byzantium). Macedonian wine was transported to these harbors in Amphorae where they were then shipped to other Roman colonies. Later, the Byzantine Empire’s use of Via Egnatia kept commerce and wine making thriving in Macedonia. During the Ottoman Empire, though the Turks used this ancient road for their European conquests, the tradition and art of Macedonian wine making was kept alive and in secret by the monasteries in Macedonia and were no longer being exported. During the period of the Socialist Federal Republic of Yugoslavia (SFRJ), 1945–1991, through state run wineries, Macedonia produced the bulk of the wine for the SFRJ but creativity and artisanship were not allowed to flourish. Since the Republic of Macedonia’s independence in 1991, the privatization of state wineries and the hard work of entrepreneurs and oenologists, the country has seen an explosion of viticulture through the premium wines being crafted whether by a large winery or a small family boutique winery. 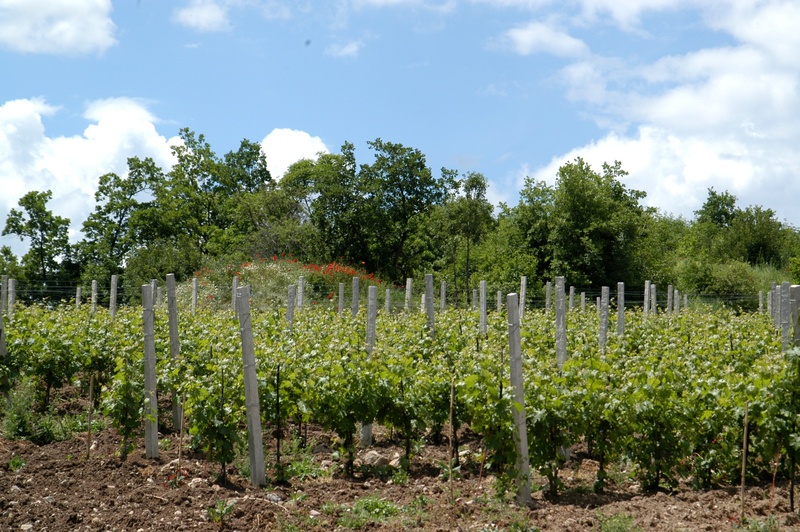 This surge in Macedonia’s viticulture and investment in infrastructure during the last fifteen years has led to more international recognition of Macedonian wines, numerous awards and Macedonia’s burgeoning presence on the international wine scene. 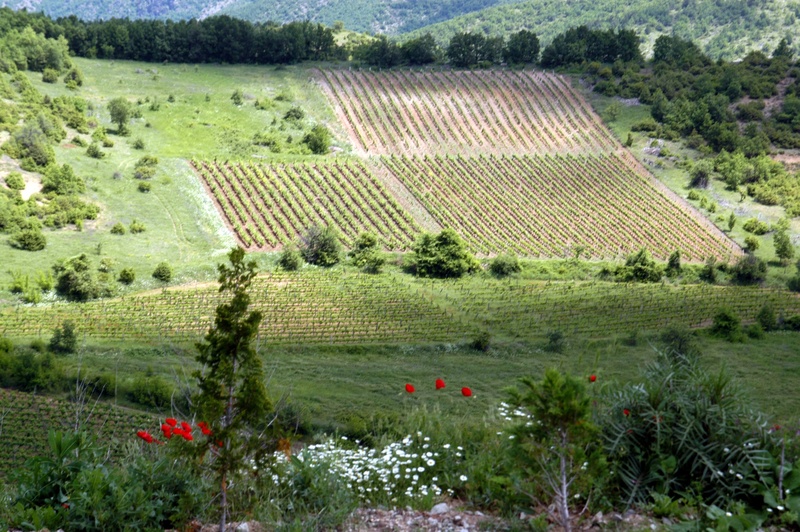 At present day, there are over 75 wineries in Macedonia cultivating over 24,000 hectares of vineyards and producing over 200 million liters of wine. 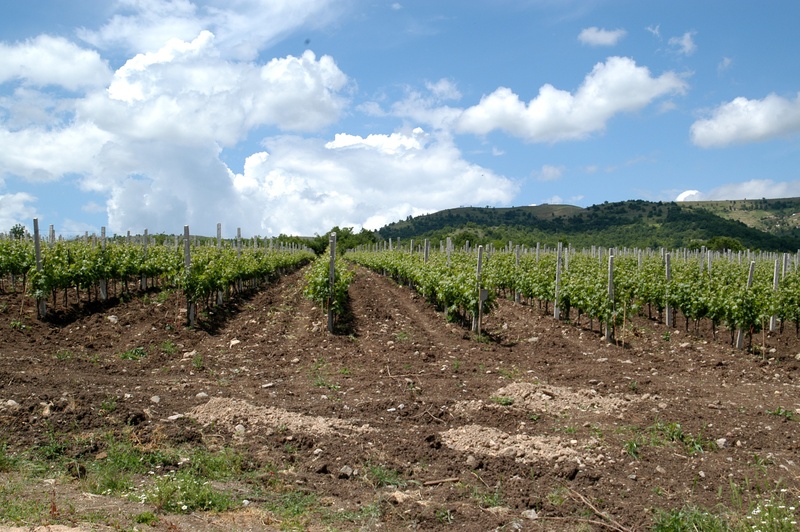 In 2014, the Ministry of Agriculture published a guide titled “Wines of Macedonia” and as part of the transitioning to EU standards, the three previous wine regions in Macedonia, Pelagonija-Polog, Povardarie and Pčinja-Osogovo are now combined into one region “Republic of Macedonia” which consists of 16 wine districts. Below is a breakdown of the 16 wine districts according to the old regions. For an alphabetical listing of wineries on JourneyMacedonia.com click here.